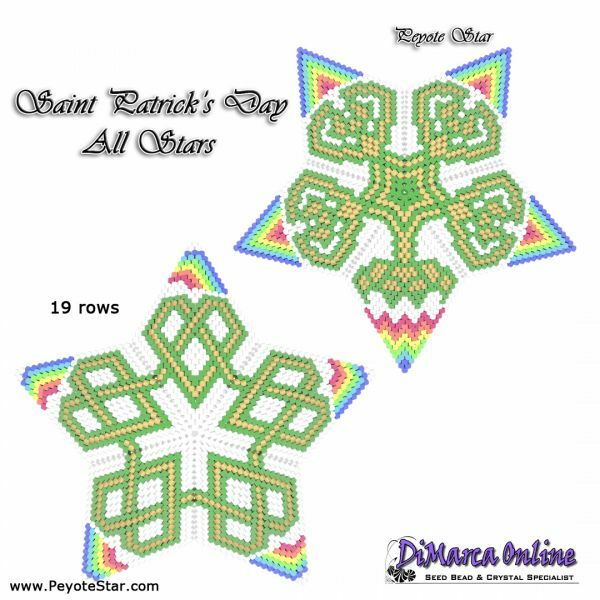 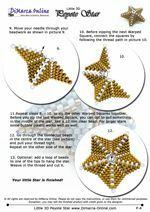 This beading pattern provides a colour diagram and word chart to create the 2 SAINT PATRICK'S DAY 3D Peyote Stars: CELTIC KNOT HEART and CELTIC KNOT SHAMROCK Star. 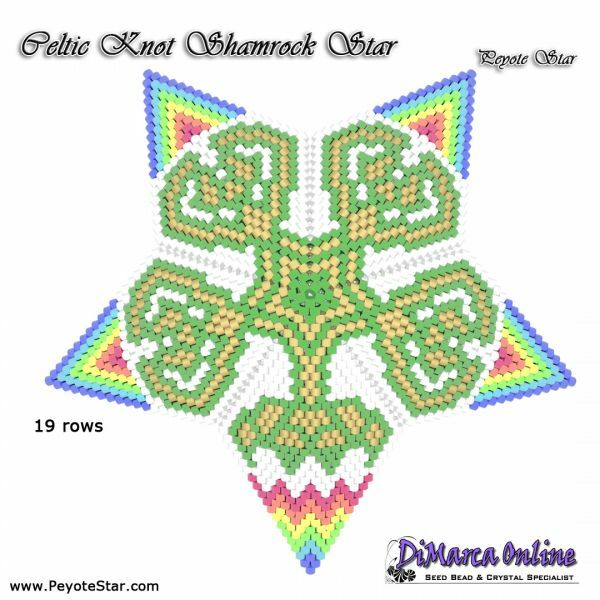 The Celtic Knot Shamrock has 3 different squares. 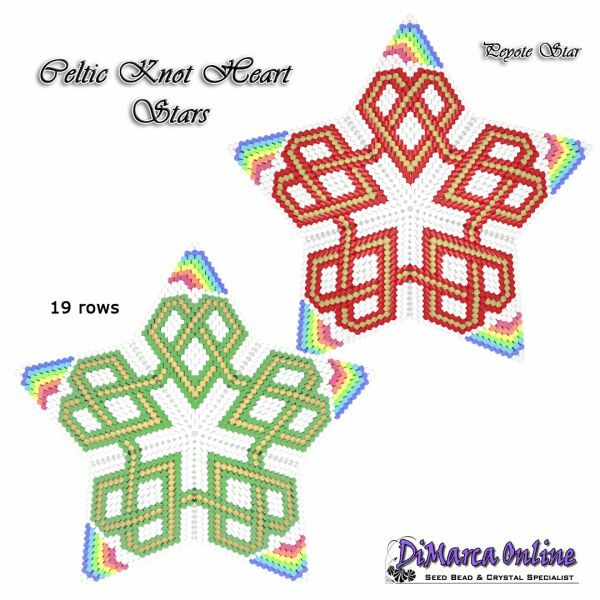 These stars have 19 rows.